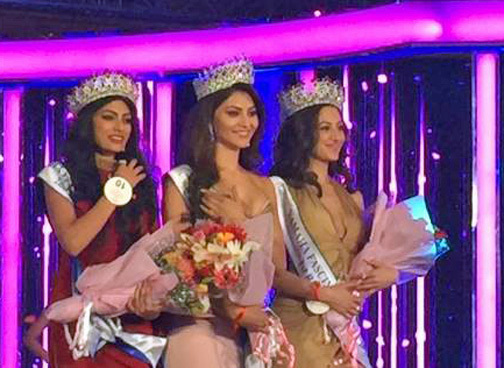 Urvashi Rautela, a 21-year-old actress and model who appears in Bollywood films, was crowned Miss Diva Universe 2015 on October 14. She will now represent India in the Miss Universe 2015 pageant to be held in Las Vegas, Nevada on December 20. The 1st runner-up is Natasha Assadhi and the 2nd runner-up is Naveli Deshmukh. Rautela actually won Miss Universe India 2012, but because of her young age of 17 she was not eligible to compete internationally. She is the first woman in Indian pageant history to have won the same title.